Readipop and Reading Museum have worked with a group of young people to explore Reading’s rich musical heritage. The project has seeked out musically significant people, places, events and voices to create an audio map of the town and a musical heritage trail linked to an online store of reminiscences, oral histories, stories, music, sounds and images. The trail has a physical map to follow, a display at the museum and displays in Reading’s shops and venues. The trail map guides people around a ‘sound walk’ that can be accessed on-line whilst at musical heritage trail locations. The project has also featured a few key public events including guided walks and seminars with important local musicians. The project began in early 2012 with the current website and trails being launched in April 2013. Throughout this time over 40 volunteers helped discover the hidden stories we’ve found from over 20 local artists. The 6 launch events all took place in April 2013, followed by a workshop tour at Reading’s primary schools, sharing some of the heritage that has been uncovered. Our oral stories come from a range of sources, including local musicians, artists and location staff. We have also compiled histories from libraries, local history and community groups, and the press. Our search was greatly aided by Reading Museum and Reading Library’s Local Studies Collection, with Volume creating our online and printed materials. We’re always on the look-out for new stories to add to the project, and so this is where your help is needed! If you know of a story, venue or artists not mentioned already, or you have a great way of developing the project, please get in touch. 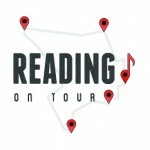 We can only show a full history of Reading’s music scene with contributions from the whole community! Head to our Where to Start page to find out more about following the trails. Or click on Interviews to browse our full range of unique stories discovered. Or you could visit the Locations & Artists page to see the full range of content uploaded so far. Or go to Got A Story? to tell us of something we’ve yet to include!